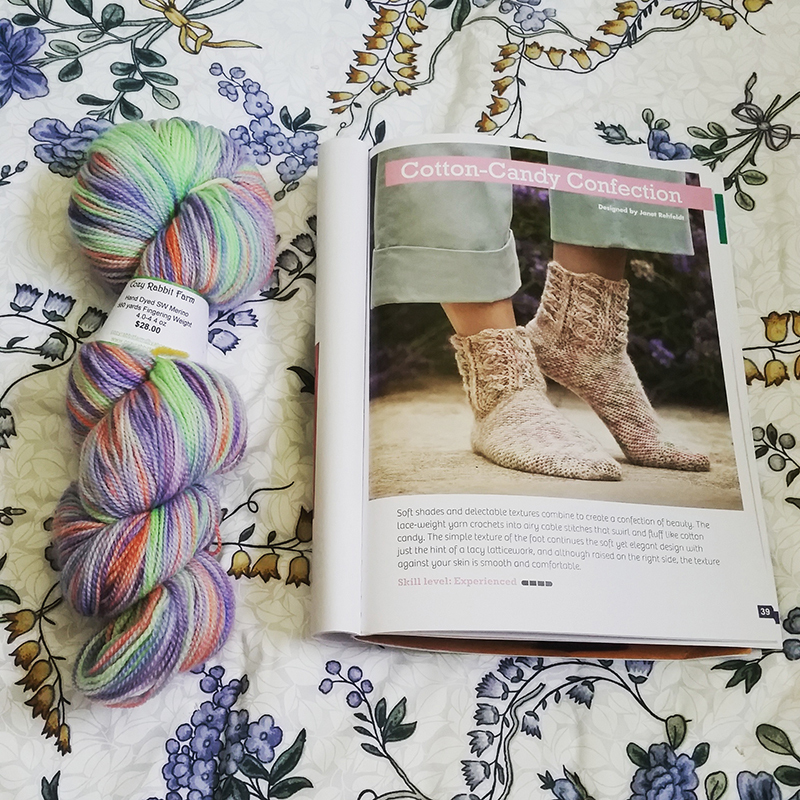 I’m continuing my year-long salute to crochet socks with a pattern called “Ripple Socks” by Karen Ratto-Whooley in her book I Can’t Believe I’m Crocheting Socks. 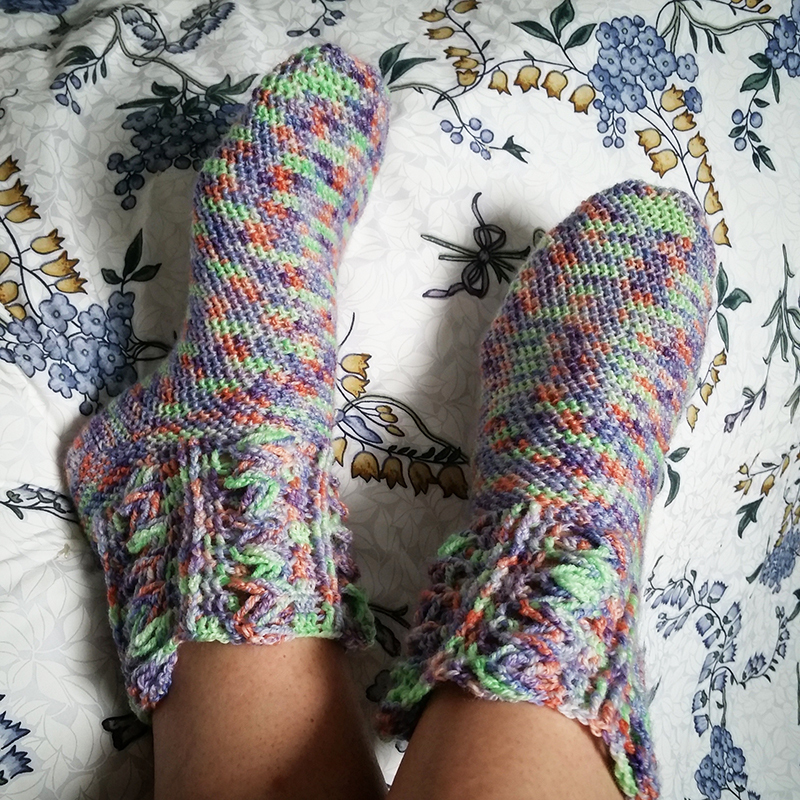 The yarn is Knit Picks Stroll Hand-Painted in Big Top. 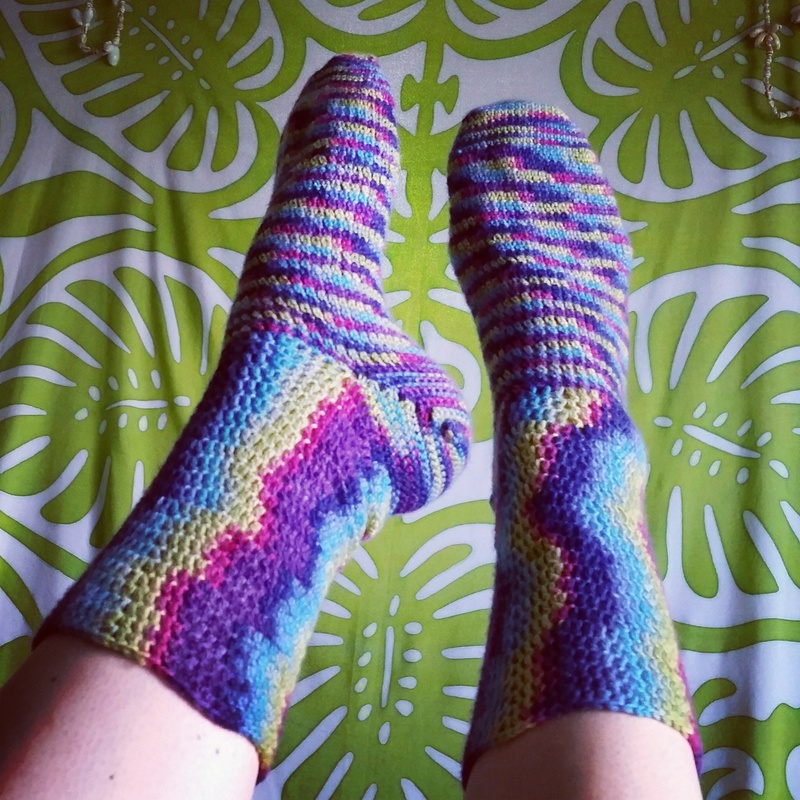 Categories: Year of the Sock | Tags: April, crochet, crochet socks, socks, toe-up, Year of the Sock | Permalink. This month has been very eventful at the picnic, as I’m sure you can imagine, with the release of The Big Acorn Race on March 9. I thought that after the book was finally out, I would be a little less busy than I had been during production. Boy was I wrong! I’m as busy as ever. But it is work that I love, so it never feels like real work. Still I am rather impressed with myself that even with everything happening, I found the time to complete my March pair of socks. 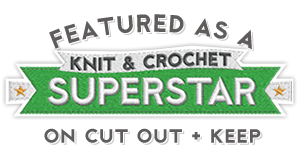 Categories: Crochet It, Year of the Sock | Tags: crochet, crochet socks, Janet Rehfeldt, sock yarn, Year of the Sock | Permalink.